I remember the day I heard All Saints’ ‘Pure Shores’ like it was yesterday. Album two hadn’t been released, but the song was on the soundtrack to ‘The Beach’ and it had been released (ah the days before streaming), so I bought the album just so I could listen to that song on repeat. I was obsessed. The way William Orbit produced that song is special and in a way it’s something I don’t want recreated. So when I heard he was back on board for what is now the fifth All Saints album, I was excited and nervous. Could they successfully create something that didn’t sound like it was trying to be another ‘Pure Shores’? While I did finally get a second album from All Saints, I never thought we’d end up with five. With ‘Testament’, we get a brilliant continuation from previous albums but suited to 2018. Shaznay’s leading the songwriting charge alongside production from long time collaborator Karl “K-Gee” Gordon here and it feels familiar. There’s also a fresh contribution from Fred Ball (Beyoncé, Rihanna, Little Mix), who wrote some excellent tunes on the last album. ‘Love Lasts Forever’ was a smart choice as a lead single. It’s instantly catchy and features some of the band’s finest harmonies. In fact, it’s the reminder we need as pop fans that a good song is important but so is the ability to deliver it. The ladies have never sounded better and throughout the rest of the album, you’re reminded how talented they are. Written about the love of their children and families, the messages are relatable and ones that we can all connect to. 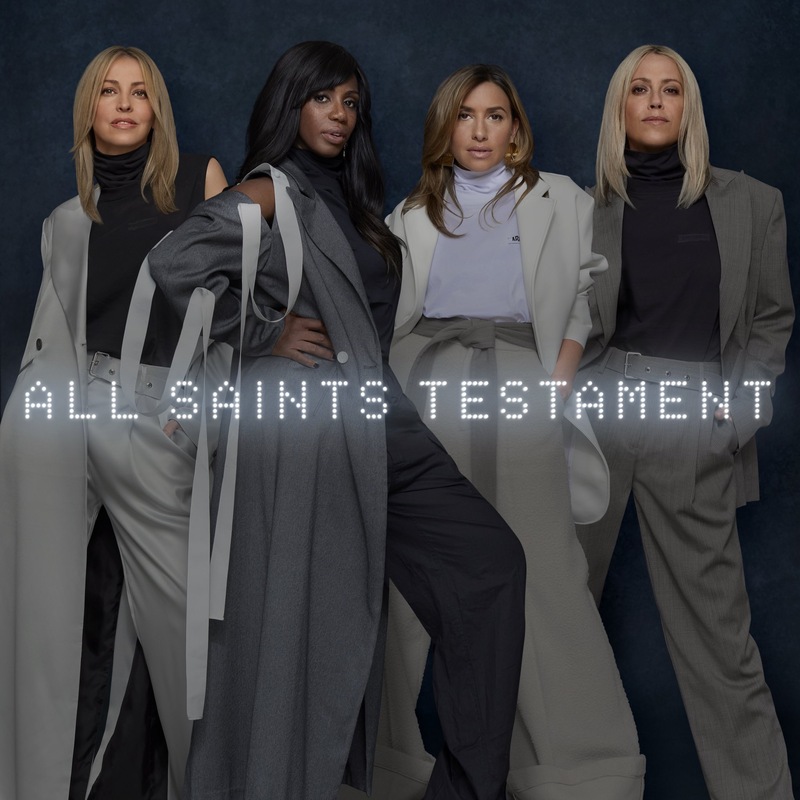 As mentioned earlier, album number five sees All Saints reunite with super producer William Orbit (responsible for their biggest hits ‘Pure Shores’ and ‘Black Coffee’) and it’s a welcome return. As the album’s official second single, ‘After All’ is a continuation of where previous collaborations left off. It’s modern while feeling like it pays homage to the past. With all the sonic tweaks Orbit makes, it feels right. He also makes an appearance on album track ‘Testament In Motion’. Written about a decade ago, it feels like it was from a previous era but it’s also an incredibly catchy album track and one that’s aged well. ‘I Would’ is another beautifully written song and showcases Shaznay’s lyrical ability. Inspired by the challenges facing the people of the world, it’s about being human – stepping in to help those less fortunate when you can. Paired with beautiful vocals, it makes for a special moment on the album for me. There are a couple opportunities here that could have made this album even better. ‘Don’t Look Over Your Shoulder’ isn’t a bad song (in fact it was co-written with Elton John), but it’s the kind of song you’d have found as a b-side on a ’90s single release that everyone fell in love with. It feels completely out of place for this album. It’s plonked right in the middle of the tracklist. This leads me to the second issue : the track ordering is a bit off. ‘Glorious’ doesn’t belong at the end of the album – it’s a stirring album opener of a song and should have led this collection. Shuffle a few things around and it would have made a difference. But at least there’s no dancehall or reggaeton… something we should all be grateful for. I had a glimmer of hope seeing the album appear on the iTunes chart on release day, but it’s since disappeared here in Australia. That being said, charts no longer dictate when a body of work is good and this one is most certainly a good one. Hopefully All Saints make a visit back to our ‘Pure Shores’ (see what I did there) some time soon – I want to hear these harmonies live. Love definitely lasts forever for this fan. MUST LISTEN : Love Lasts Forever, Fumes, After All.